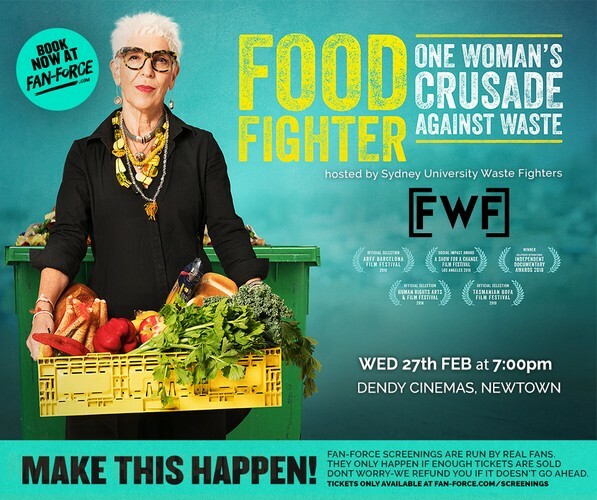 Sydney University Waste Fighters presents this special screening of Food Fighter! Be sure to arrive early for seating as the film will start at 7pm sharp! Please note: Enough tickets must be sold to ensure this screening goes ahead, if it doesn't happen those funds will be refunded - no one loses out! To buy tickets, click on the tickets link above.